BARGARH: Curtains went up for the 11-day ‘Dhanu Yatra’, considered the biggest open air theatre of Asia, in Bargarh today. 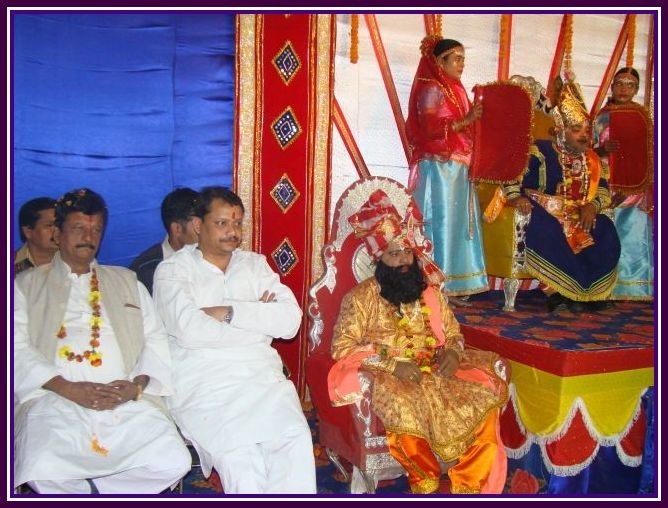 With the central theme of this festival borrowed from the ‘Krishna Leela and Mathura Vijay’, the enactment on day one begins with wedding of his sister Devaki with Basudev besides Kansa’s accession to the throne and concludes with ‘Kansa Badha’ at the hands of nephew Lord Krishna. After the marriage, a confident Kansa moves towards the Durbar of King Ugrasen, his father and dethrones him to capture the kingdom marking the beginning of his tyrannical rule. But the joy of marriage and the pride of his accession to the throne for the demon King is short-lived. While he moves around atop a caparisoned elephant in a procession along with the newly-wed couple, a divine voice warns Kansa of his impending death at the hands of the eighth child born to Devi and Basudev. The warning is enough for Kansa to put his sister Devaki and her husband Basudev in jail. 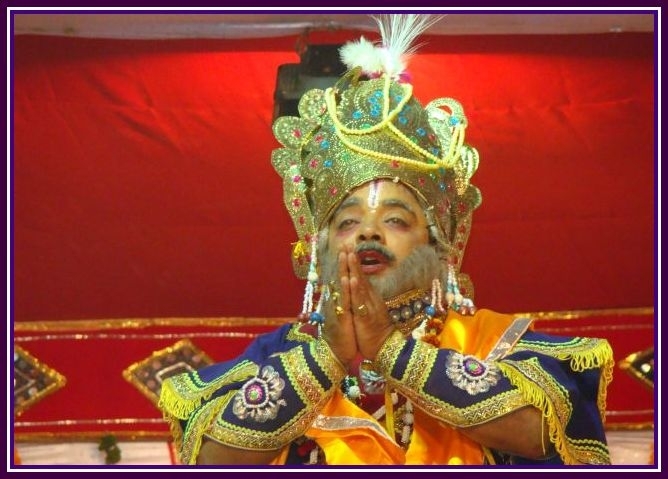 Interestingly, the day one saw the scene shifting from Ramji Mandir in Talipada where celestial wedding of Devaki and Basudev is solemnised, dethroning and accession to the throne besides warning by divine voice at Hatpada and imprisonment of Devaki and Basudev at the makeshift prison at Radha Krushna Temple at Hatpada. 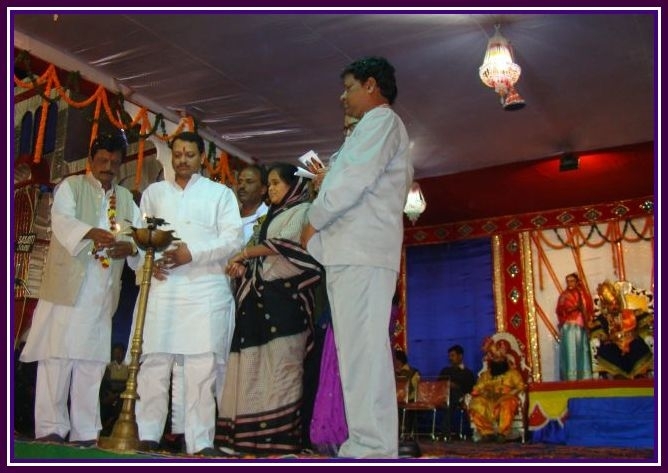 The entire Bargarh municipal limits, spread over 5 square km, turns into a stage and every citizen plays a role. 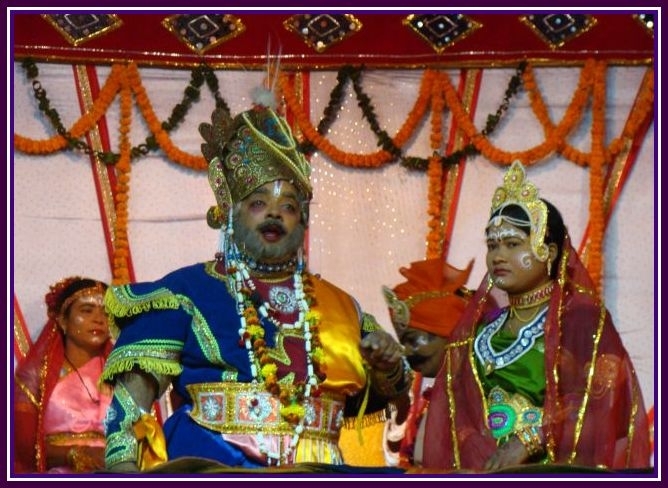 The geographical setting of Bargarh municipal limits also conforms to Mathura, where King Kansa ruled. The river Jeera represents the Yamuna. Ambapali village across the Jeera turns into Gopapur where Krishna is brought up. 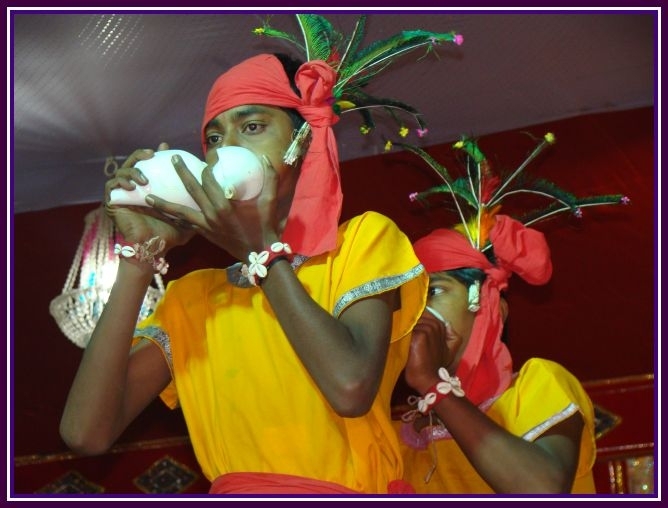 The festival which is a synthesis of stage, theatre and cinema is held for seven to 11 days preceding the Pousa Purnima. 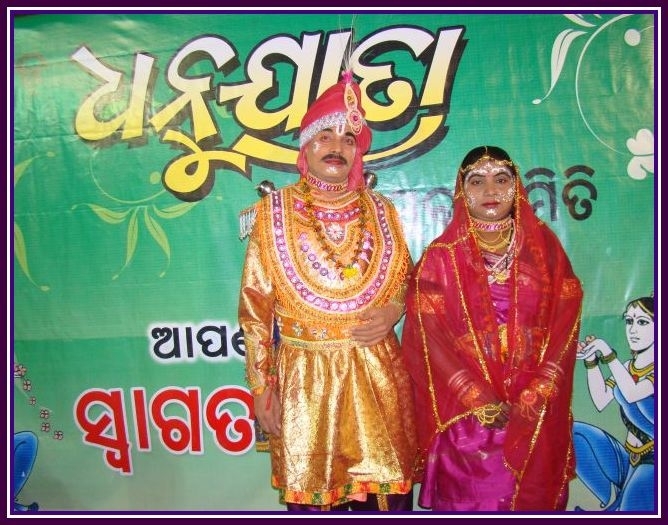 Entry filed under: Bargarh, Bargarh Dhanu Jatra, Dhanu Jatra, Drama, Kosli Culture, News in pictures, Region watch.